An annotated edition of the travel-writing of Dr. John Gamble (1770–1831). 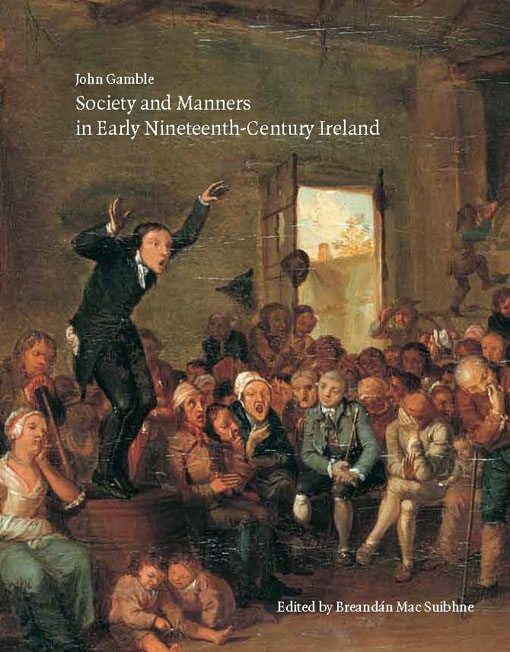 The travelogues of John Gamble are highly regarded for their insight into society, manners and politics in Ulster—he visited all nine counties— between the 1798 Rising and the Great Famine. This edition—approx. 400,000 words, c. 800 pages—has been extensively annotated and indexed by Dr. Breandán Mac Suibhne. A native of Strabane, John Gamble graduated MD from Edinburgh in 1793 before serving as a surgeon in the British army. In the early 1800s he settled in London, where he moved in literary and theatrical circles; he himself produced several works of fiction and three travelogues recounting trips home to Strabane in 1810, 1812 and 1818, when he returned to stay. The travelogues of John Gamble are highly regarded for their insight into society, manners and politics in Ulster—he visited all nine counties— between the 1798 Rising and the Great Famine. This book promises to be a widely read source for the history of early nineteenth-century Ireland, most especially Ulster.